When you’re shooting a film, it can be pretty hectic on the set. So, you want to make sure that the set is safe, efficient and well organized. Efficiency and good organization give you more time to be creative – but they are of no use if you don’t keep yourself and the crew safe and sound. So, safety first! These seven tips will help you make the set more secure and safe for working. Ideally, you should do this a couple of days before shooting. Walk inside; see what you have to work with, what the space is like. Look for the all available power sources and locate the outlets. Think about the organization of the equipment, but also inspect the space to locate any potential hazards and plan the escape route. An average house has a separate circuit for every room, and each uses 20A or 15A circuit. Have this in mind when plugging the stuff in. Don’t plug too much stuff in at once. You can do it with LED lights though, because they use very little power. Even with all the precaution measures, it can happen that you still blow a fuse. I’m sure you don’t want to waste time on set to search for the breaker box in the dark. Locate it before the shooting so you can easily find it in case the lights go out. Look for the escape pathways and plan the emergency route. It’s very important not to block exits and doorways, so leave all the gear and cables out of there. You and the crew need to be able to navigate with zero visibility, without tripping over stuff. Also, leave one wall without any equipment along it. 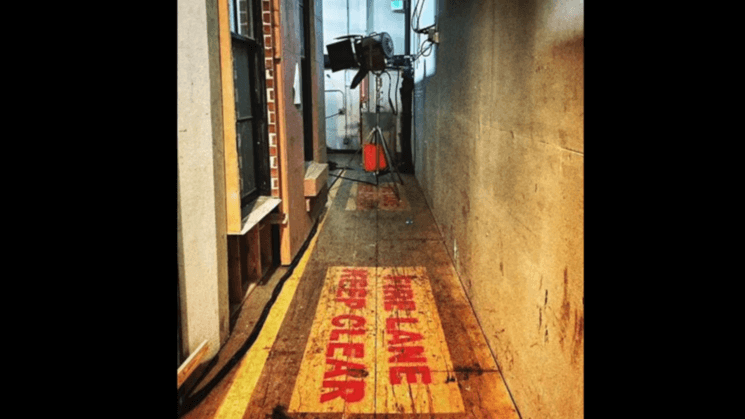 If you have the equipment in hallways, always leave too feet of space for the path. Don’t run the cables diagonally across the hallway. Run it along the wall, cross it at a 90 degree ngle, and tape it down. C-stands are versatile and commonly used on sets, and they can sometimes carry potentially dangerous stuff. So, it’s important that they don’t tip. Always place the weight of the load over the tallest foot of the C-stand. It’s the only leg that can hold and suspend the sand bag off the ground. When it comes to the extension arm, keep in mind that the knuckle turns right. So, keep the weight load so that the gravity tightens the knuckle instead of loosening it. There are plenty more safety tips for shooting. But, these are the essentials that will provide you with safe working environment, and allow you to get creative without thinking about potential safety issues. 3.1 – Determine if the breaker uses actual fuses. If you’re in an old building it might and you’ll have to replace them if you trip them, bring a couple of spares if that’s the case. 5.1 – If tape isn’t suitable (say on carpet or expensive hardwood) be sure to bring some mats or carpet to cover cables.